We can guarantee you that we have the best of the best when it comes to a senior care and rehabilitation team. It’s the folks who make up our staff that truly make the difference when it comes to quality of care. We are passionate about what we do, and would love to get to know you. Meet a few of the key people at Heritage Villa by seeing their smiling face and reading a little bit about them. Aleta started working at Heritage Villa in 2003 in laundry. She then became a cook and is now our Dietary Manager. Traci began her career in Healthcare Marketing and Public Relations in 2002. She came to Heritage Villa in 2016 as our new Business Development Director. 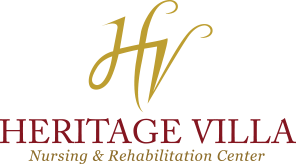 Traci is very excited to educate the Community of Bartlesville of the great things happening at Heritage Villa.